Thank you C&H® Honey Granules for sponsoring this post. Visit your local retailer to pick up your own package and start sprinkling sweetness today! 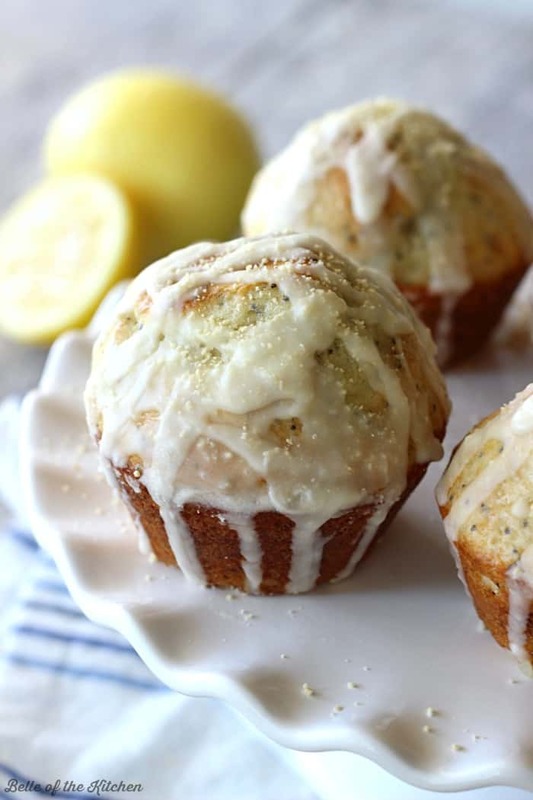 These Lemon Poppy Seed Muffins are bursting with sweet citrus flavor, and perfect for spring! They are finished with a drizzle of lemon glaze and Honey Granules on top. Muffins are my favorite kind of grab and go breakfast. I tend to eat on-the-run more often than not, and breakfast is one of those meals that I don’t always have a lot of time for. If I can grab something as I’m running out the door to get my kids to school, then you can count me as a happy camper in the mornings! Since it’s almost spring, all I have on the brain right now is fresh, pretty, and happy foods. I’m loving anything lemon right now, so these Lemon Poppy Seed Muffins are my new favorite treat. 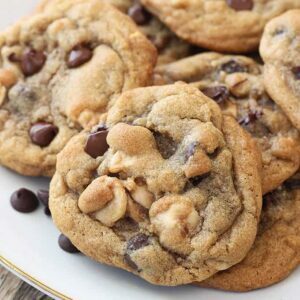 I’ve been eating them as I sit in the drop-off line for my son’s school in the mornings, and then devouring them again in the afternoons with my cup of coffee while I do work for the blog. 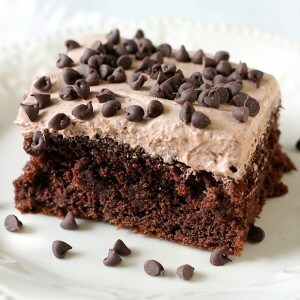 I might even have one for dessert tonight! 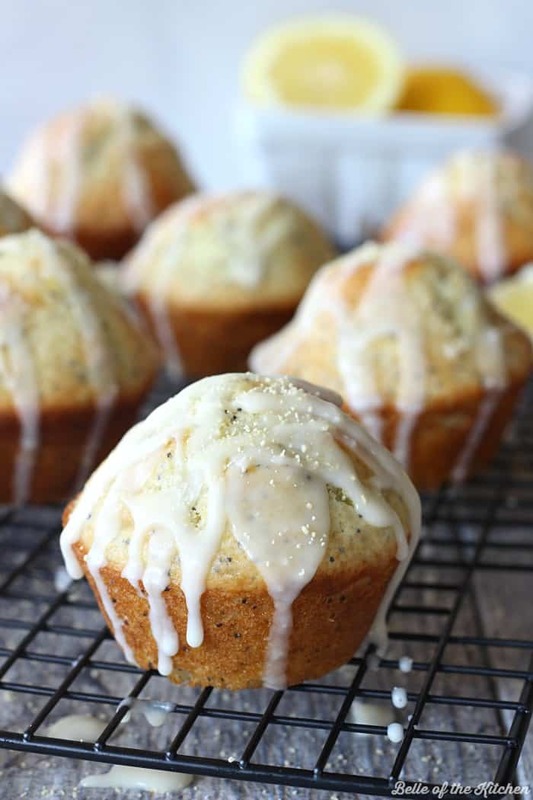 What really makes these muffins pop is that lemon glaze and Honey Granules on top, y’all. The glaze is made from lemon juice, powdered sugar, vanilla, and a little butter. 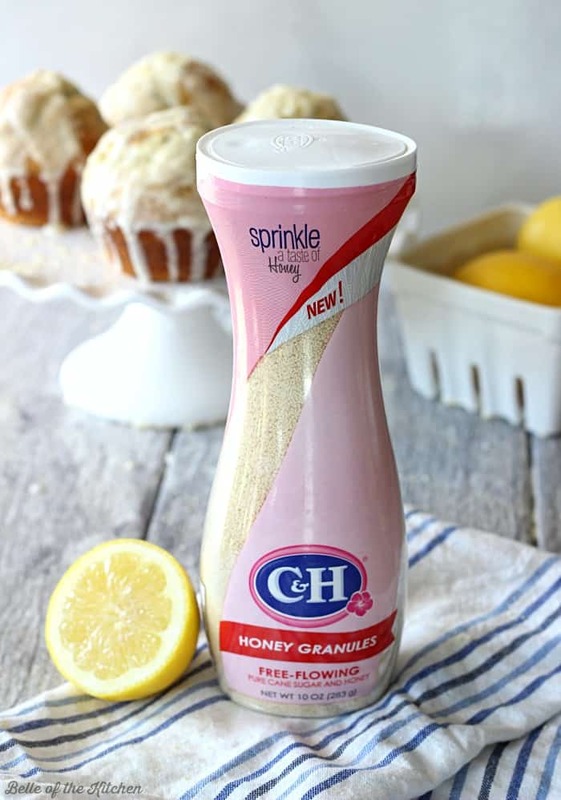 Drizzle that over your muffins then finish with a dusting of these awesome C&H® Honey Granules. C&H® Honey Granules is a free-flowing mix of granulated pure cane sugar and honey, that adds a sweet taste to teas and cereals, or can be measured for recipes. I love that it comes in easy-pour canisters with recloseable flip-top lids so that you can get a taste of honey without a sticky mess! The sweetness of C&H® Honey Granules is equal to 1 ½ x that of honey, so 1 ½ tsp. of Honey Granules = the sweetness of 1 tsp. Honey. C&H® Honey Granules is sold where I live here in Hawaii, but if they don’t sell it in your area, look for Domino® Honey Granules, the sister brand of C&H®. Enjoy the muffins, y’all, and happy spring! Preheat oven to 400 degrees. Spray a muffin tin with cooking spray or line with cupcake liners. In a large bowl, sift together the flour, baking powder, baking soda, salt, and poppy seeds. In a separate bowl, whisk together the butter, sugar, eggs, Greek yogurt, vanilla, milk, lemon zest, and lemon juice until smooth. 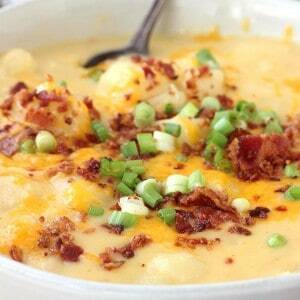 Pour into the bowl with the dry ingredients and mix until just combined. Divide batter evenly to make 12 muffins. Bake in preheated oven for 12-15 minutes until a toothpick inserted in the center of a muffin comes out clean. Cool on a wire rack. To prepare the glaze, whisk together the butter, powdered sugar and lemon juice until smooth. Drizzle over the top of muffins then sprinkle with Honey Granules. Enjoy! 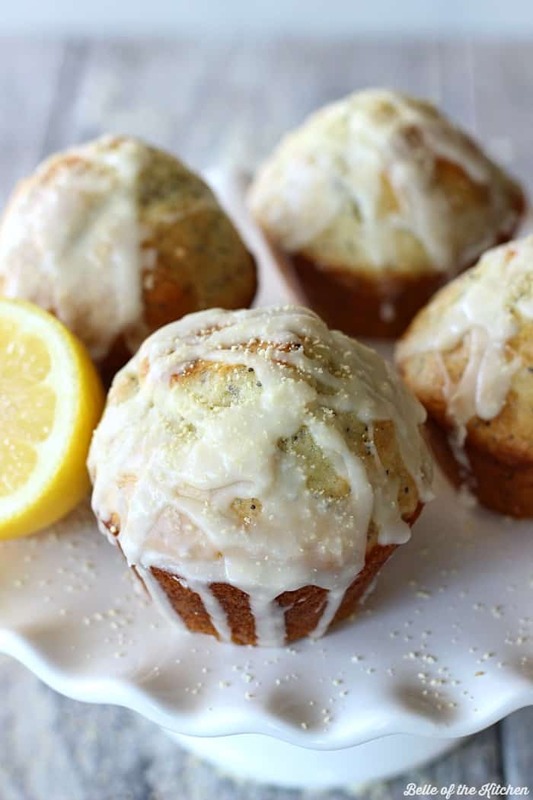 Move over donuts, these glazed lemon muffins are the bomb! Thanks for sharing. One of my favourite muffin flavours. I haven’t baked with poppy seeds in ages though, so guess it’s time to bake some muffins. These muffins are beautiful! I love the lemon poppyseed flavor. I’ve never heard of honey granules – so interesting. I don’t normally like poppy seeds, but these look so much better than poppy seed bagels! I love lemon poppy seeds combination! These muffins look so delicious and perfect for brunch! I will need all of them!! These are such pretty muffins! I would love a few this morning. 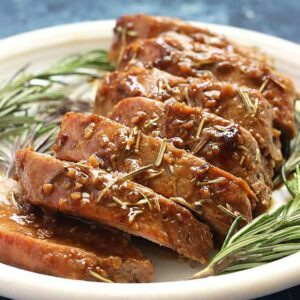 We have Domino Honey Granules here and I am loving cooking with them! Your muffins look fabulous! Now you’ve got me thinking about breakfast and wishing I had these ready to go! 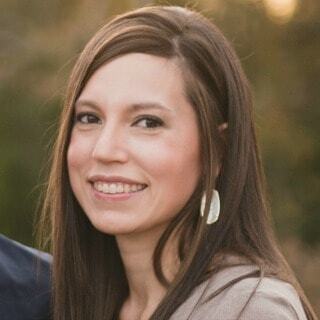 I don’t think their is one thing you could have done to make them better they are perfect! 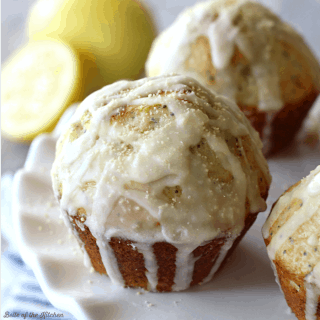 Lemon poppy seed always makes me think spring! These muffins look perfect, and I lurve those honey granules! I am all in for fresh, pretty, happy foods! And honey granules? Who knew? I need to get my hands on some of those honey granules! What a fantastic idea and these muffins look perfect!